Last year NBC attracted nearly 22 million viewers with its live televised version of The Sound of Music starring Carrie Underwood as the nun-in-training turned nanny, 'Maria'. 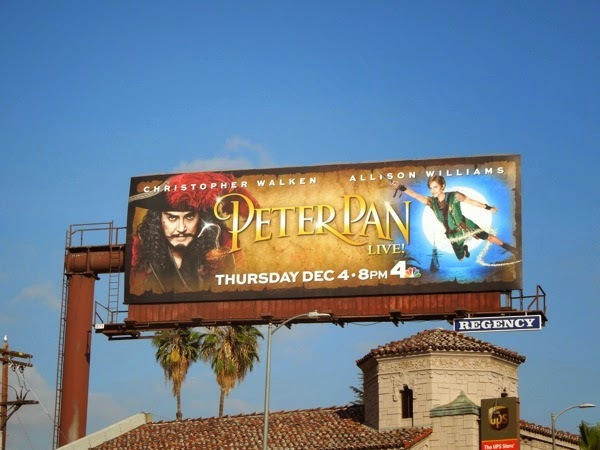 This December they are hoping to recapture lightning in a bottle with a live version of 'Peter Pan', starring Allison Williams as the titular flying hero who never grows up and Christopher Walken as his arch-nemesis, 'Captain Hook'. 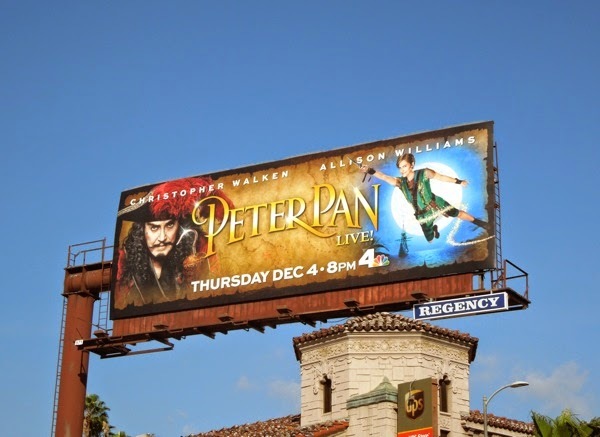 The use of a woman in the iconic role of Peter Pan follows a grand tradition from its early days of pantomime and stage theatre productions. 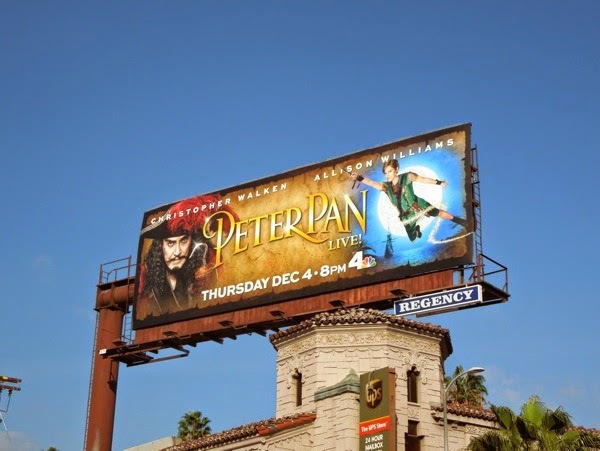 It'll be interesting to see if the Neverland musical featuring J. M. Barrie's creation will attract the same audience as the infinitely popular The Sound of Music, although Fox executives seem to think they are on to a winner with this strategy as they are said to be developing 1978's Grease movie for the small screen (can anyone say copycat). 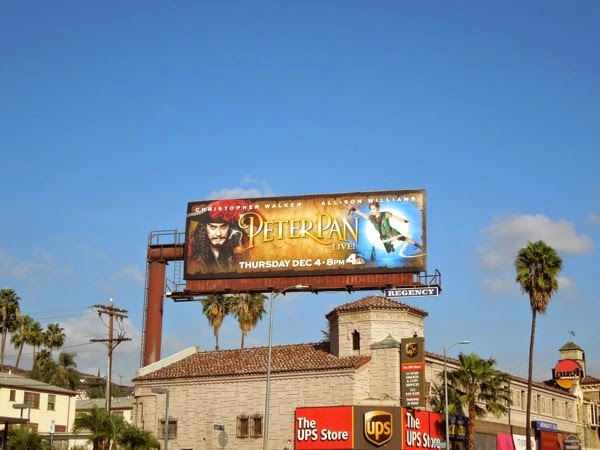 This magical billboard for the live extravaganza showcasing the lead characters was snapped along Sunset Boulevard on November 12, 2014. 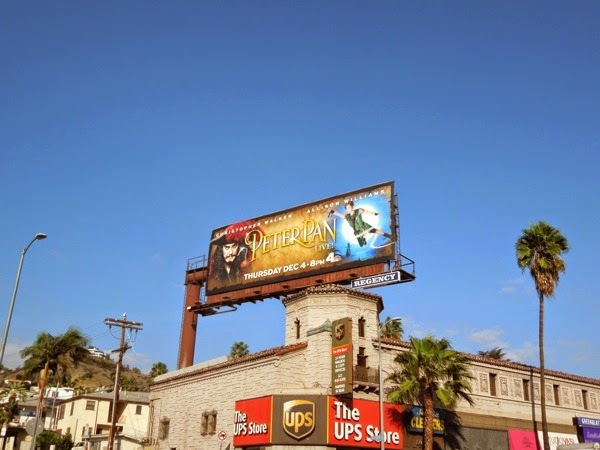 If you're a fan of the infamous pirate villain, be sure to check out this Disneyland Captain Hook billboard and if you're an admirer of Allison Williams, why not take a look at these billboards for HBO's Girls series in which she stars. Will you be watching as this new musical event takes flight second star to the right and straight on 'til morning this Holiday season?